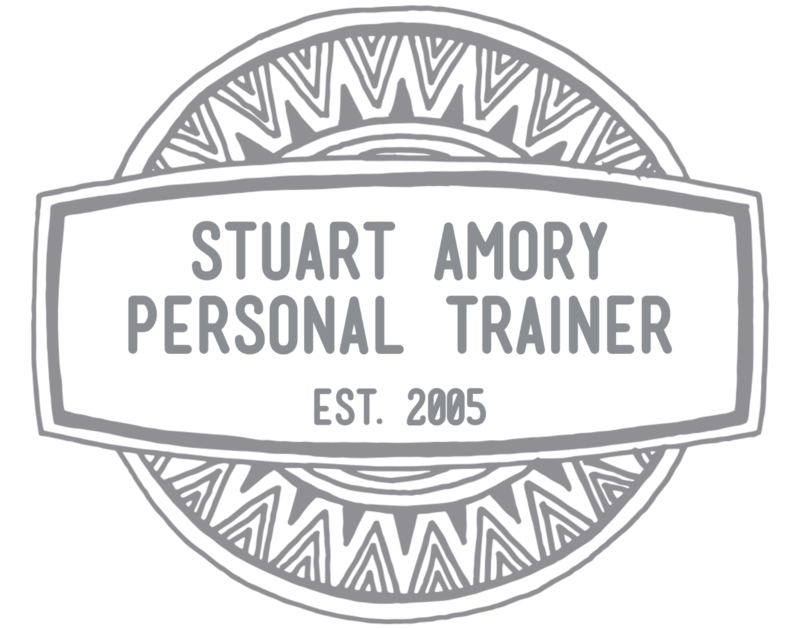 Stuart Amory is a well known celebrity personal trainer and obstacle race MC, who has trained the likes of actress Emily Blunt, presenters Jake Humphrey and Chris Kamara and is regularly seen or heard offering fitness advice on TV, Radio, Newspapers and Magazines. Stuart was born in Aberdeen in August 1975 and on attaining his ‘Black Belt’in Shotokan Karate at the age of 10, started helping his mother, also a black belt, teach local kids discipline and respect through this sport. His passion for teaching carried on to his first job as a lifeguard at Huntly Swimming Pool as whilst there, he trained to become a swimming instructor and taught there for four years. He also spent 7 years at the local Air Training Corps Squadron winning many awards and accolades in sport and for his attitude and effort within the ATC. In 1995 he fulfilled his childhood ambition of joining the Royal Air Force as a Physical Training Instructor and was initially based at RAF Leeming in North Yorkshire. After four years of keeping the troops fighting fit, he was chosen to become a Parachute Jumping Instructor at RAF Brize Norton to train and work alongside the Parachute Regiment, Royal Marines and the SAS. From 2003-2005, Stuart could regularly be seen falling from the sky as part of the world-famous RAF Falcons parachute display team. With many years of working and teaching a variety of Forces personnel and their families, Sergeant ‘Stu’ Amory decided to leave in 2005 to achieve his next ambition, to run his own business as a self-employed personal trainer. He quickly established himself in the south west London area and was asked, due to his work in the RAF, to train Blue Peter’s Zoe Salmon to be the first woman presenter to run the London marathon…he still has the badge. Within a couple of years, Stuart’s reputation as an effective and motivating fitness trainer and grown and this attracted many celebrities to use him in to train them for their next film role, TV appearance, music video or magazine shoot. In his thirteenth year, Stuart still regularly provides advice as an industry expert to many well-known magazines including Cosmo Brides, Men’s Health, Men’s Fitness and Heat, has appeared on Radio 1, CBBC and works with many famous brands such as For Goodness Shakes, Physical Company, The Running Bug and is also part of the brilliant Saucony Hurricanes team. With all his experience, it’s no surprise that he’s taken his passion and enthusiasm into encouraging, motivating and inspiring many people at obstacle races in this country and abroad as an MC. He currently works with Nuts Challenge, The Elements, Rocket Race, The Little Welly and the European Obstacle Race Championships.